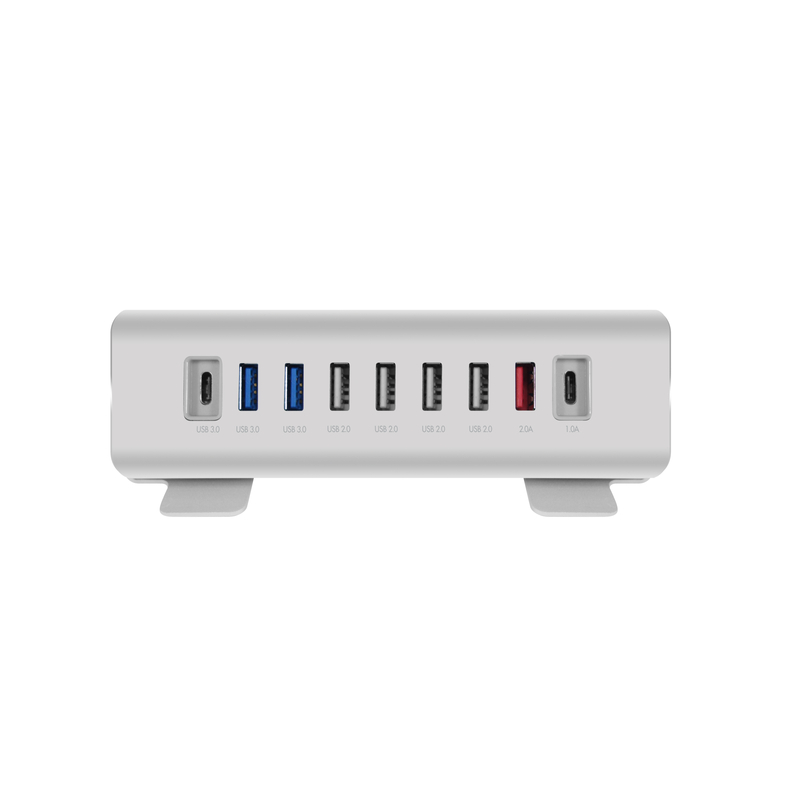 The Macally TRIHUB9 is a 9 port USB hub/charger that consists of 7 data transfer and 2 charging ports! Of the 7 data transfer ports, 3 are USB 3.0 ports (1 USB-C and 2 USB-A) that support a High-Speed data transfer rate of up to 5 Gbps. This is specially interesting for devices like an external HDD, SSD and Flash Drive. 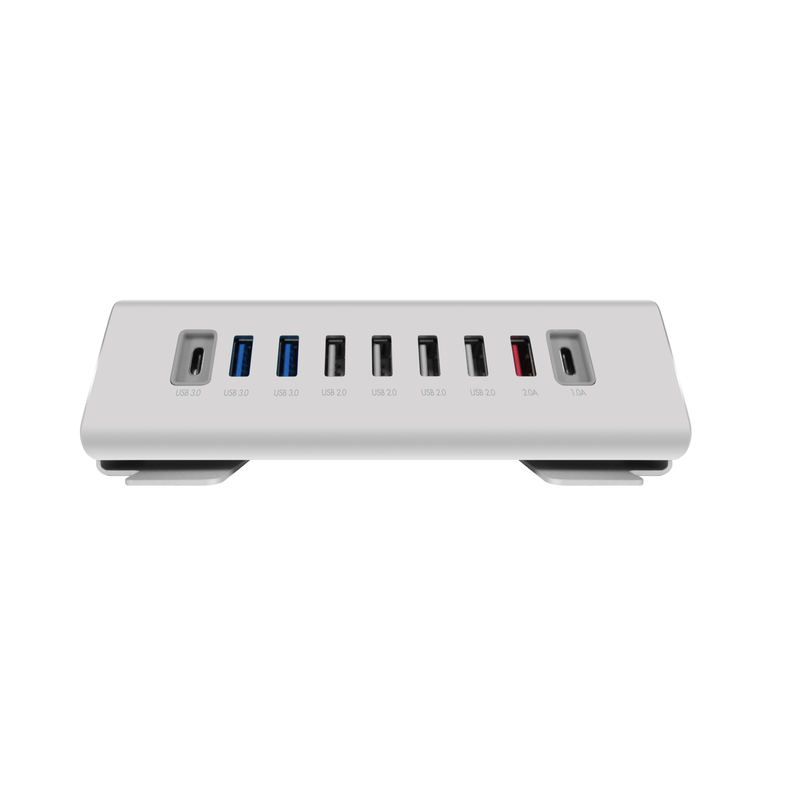 The other 4 USB ports, USB 2.0 (480 Mbps), allow you to connect less demanding devices, like a keyboard, mouse and card Reader. These 4 ports also support CDP (Charging Downstream Port). This means that you can sync and quickly charge (1.5A per port, 3.5A in total) your iPhone/smartphone, tablets at the same time. The 2 USB charging ports, one USB-C and the other USB-A (2.4A per port, 3.5A in total), support smart charging to identify your mobile device and offer the most efficient and fastest charge! The last cool feature of the TRIHUB9 is that it can be used as a standalone 6 port USB charger by only connecting the 12V/4A power adapter. 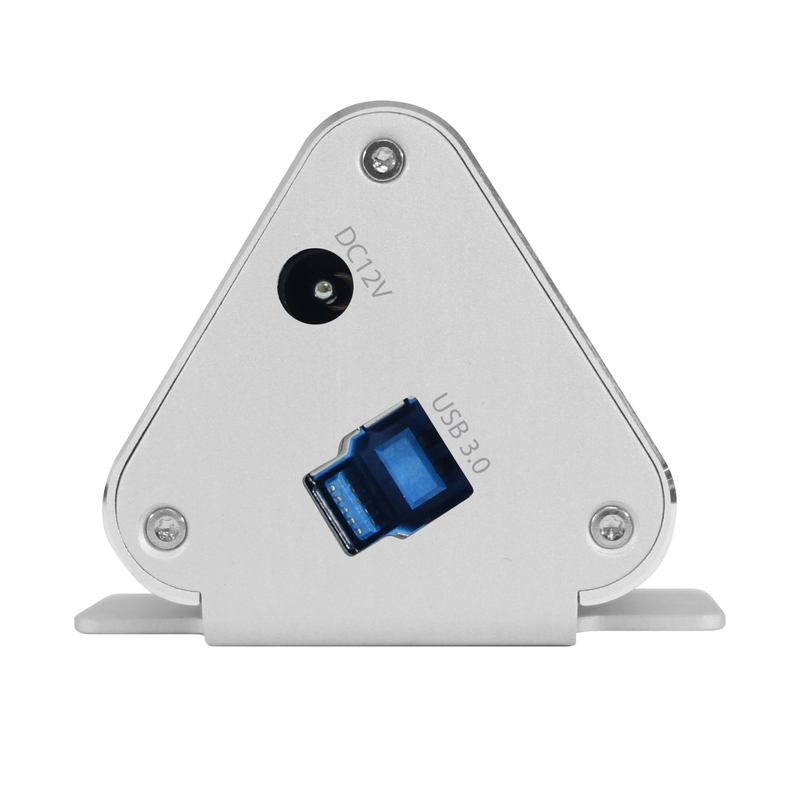 The TRIHUB9 has a stylish unibody aluminium finish with tilted ports and enough space between each port to connect your USB devices easily. Fully powered by a 12V/4A power adapter it ensures a constant and stable connection. 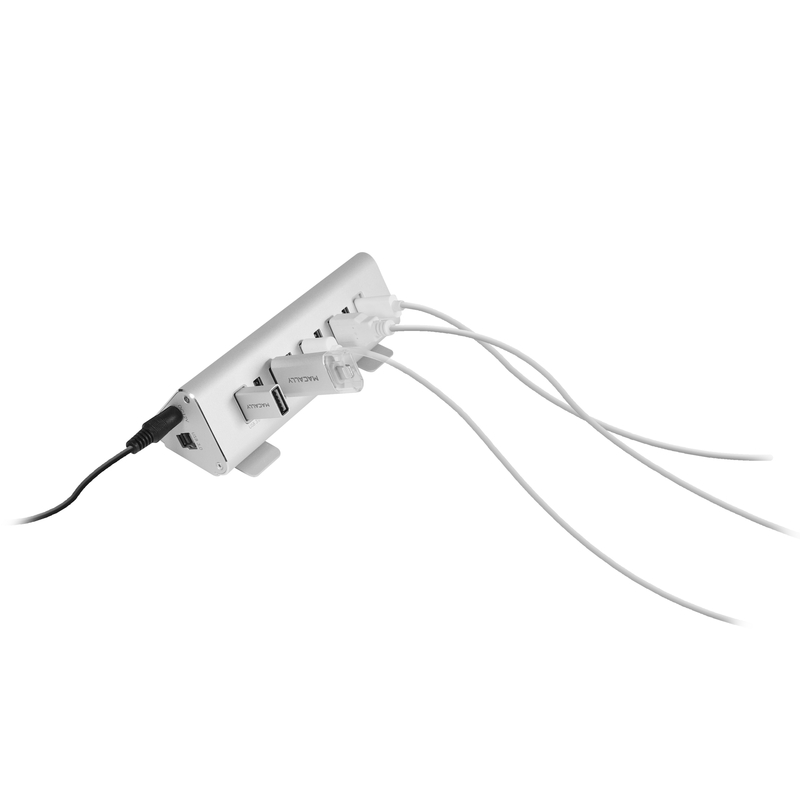 The package includes the TRIHUB9, an 80 cm USB-A cable, a 12V/4A power adapter and a user guide. 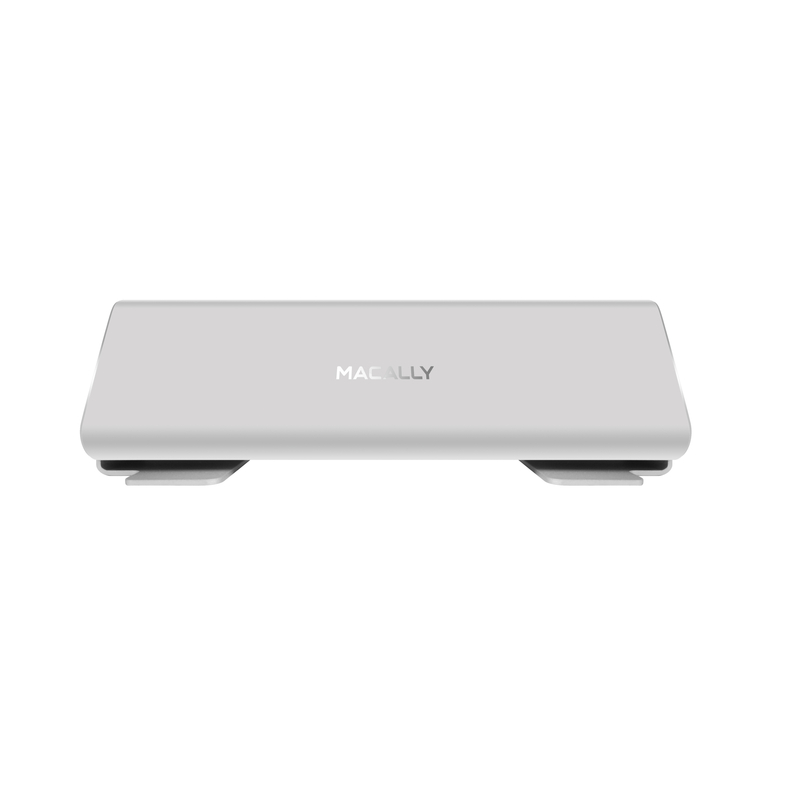 The Macally TRIHUB9, is a true powerhouse that allows you to connect and charge your USB devices.